You need to place one foot firmly on the ground, before you can place the next step to climb a stair or a mountain. Basic recipes are like that. 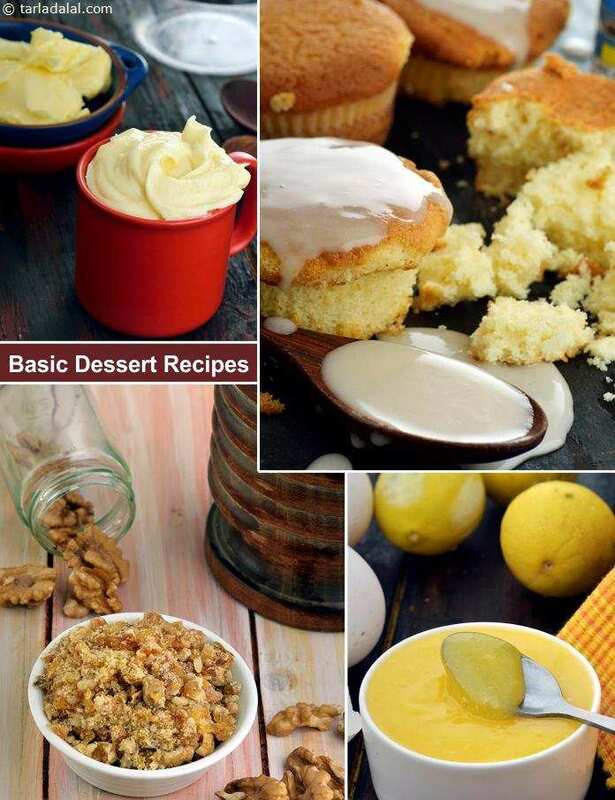 You have to master these, before experimenting with exotic creations, as high quality of the basic dessert recipes is essential to attain the highest quality in the final dish. Enter this section to learn the tricks of the trade, such as how to prepare Eggless Chocolate Cake Using Curds , Strawberry Sauce , Khoya , etc., which will pave the path to making awesome desserts. Sweet boondi, a very easy and quick way to make these delicious boondi. Serve them hot to your guest and they will surely relish it! A rich mixture of freshly-prepared cottage cheese and cream cheese, mildly sweetened with powdered sugar, forms the basis for most cheesecakes. If you get this Basic Cheesecake Mix right, you can be more than half assured of the texture and flavour of your cheesecake.